All over Europe in countries such as Germany and Norway it's a Xmas tradition to watch an obscure English comedy sketch from 1963 called Dinner For One. For the last 30 years not a Xmas has gone by without it and a whole generation has apparently grown up with this skit as part of their tradition over the festive period. Strange. 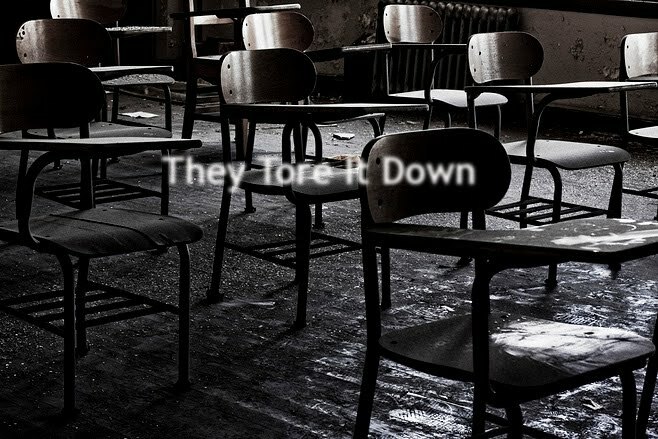 Misappropriation of words in Hymns has alway been the preserve of the school yard. But at Christmas the mischievous mind turns to Carols and here are the ones which come to mind, starting with Jingle Bells. I heard this courtesy of Bart Simpson during an early Christmas episode of The Simpsons. It's interesting how the two version exist but differ slighlty. Another was a version of While Shephards Watched Their Flocks By Night. Not the kind of tape you found with wrapping paper, but the magnetic kind that was an essential purchase in the build up to the 25th. Nothing said Christmas like a dancing skeleton (who looked kind of like Bob Holness). Before the advent of Satellite TV in the UK many movies made their network premiere over Xmas. Millions of homes had ET: Extra Terrestrial on its shelves way past Boxing Day courtesy of their E180s or E240s. During the Christmas holidays, my friend and I would take a walk up the the local library. There we would look for books on horror and the supernatural; movie anthologies, Arthur C Clarke type unexplained mysteries, that sort of thing. 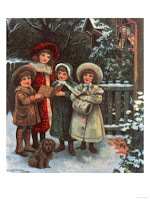 It was there one Xmas that I first came across the gothic horror author M.R. James. His stories appealed to me at first because of their length - ten to twenty pages were easily enough to hold me for a while. Then I became captivated by the stories themselves. They would take me to the kind of places I'd seen in Hammer Horror films, dark antiquarian locations where time held many secrets. Secrets that were unearthed and upturned with horrifying consequences - these were often cautionary tales: beware of the past, somethings are best left alone. Then there was the adaptations onto television. The best of these were the series of nightly readings on BBC2 by Robert Powell at Xmas 1986, "Classic Ghost Stories, by M.R. James". (Dec 26) The Ash Tree. (Dec 29) Oh, Whistle, and I'll Come to You, My Lad. (Dec 30) The Rose Garden. The tradition continues today. You can find M.R. James on the BBC somewhere over the Xmas period, be it on BBC Radio 7 or sometimes on BBC Four - a few years ago we were treated to a dedicated documentary on the man himself. Sticking with yesteryear yuletide TV, today is the 1936 Universal Films serial Flash Gordon. Like the Laurel & Hardy shorts these seemed to be seasonally broadcast and usually fell during the Xmas school holidays. 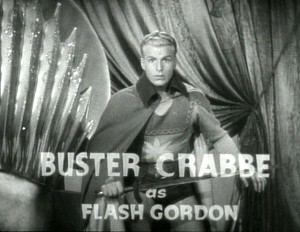 It was one of three which the studio filmed with Buster Crabbe in the lead role and splanned thirteen episodes. Shown daily and in the morning amongst other children's TV on BBC Two, it just about filled the school holidays. I loved the set design based upon the earlier comics - stuff like ray guns and space craft which reminded me of steel sea-liners with huge, rivetted hulks. I actually saw one of the Flash Gordon episodes at a cinema while at college. On the big screen it had a grandness and scope which the television lacks. Laurel & Hardy. Always reminds me of Christmas somehow. Well, at least this short film of 193o Below Zero does. street buskers, down on their luck as always, trying to scrape a buck or two together. Stan plays a small keyboard (harpsichord?) and Oli plays the double bass. It's my favourite short from them and I usually play it around Xmas time, mainly due to the winter setting and also because it also reminds me of the school holidays which usually began around the 20th or so. 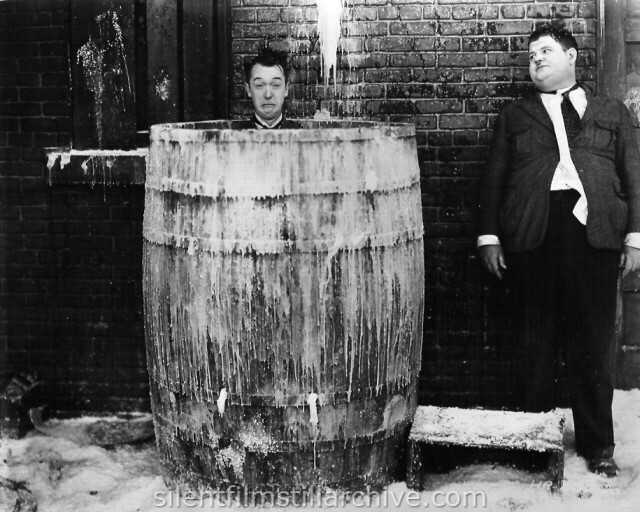 I can't remember the last time Laurel & Hardy was shown on BBC Two - got to be over a decade now. 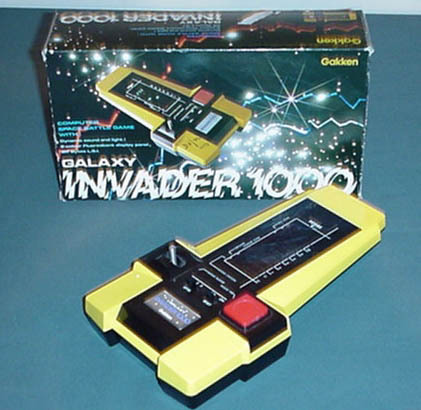 When I close my eyes I can still hear the bright, monotone sound of this early 1980s handheld LCD game from CGL. Think I got one around Xmas time and it was my favourite toy for quite a while - at least until the Commodore 64 came along. There was something captivating about playing this in the dark too, the glow from the screen filling the room like fairy-lights on a Xmas Tree. If you own the rights to any media I use here and would wish me to withdraw it, please get in touch. Ta.